You love standing out from the crowd on the roads of West Valley, Murray City, and Orem. That’s why you need a vehicle that’s customized to fit your unique way of life and capable of delivering on your daily needs. Luckily, that automobile has arrived in the form of the 2019 VW Jetta. No matter which trim level of this sleek sedan you choose, you’ll be armed with all the essentials for highway thrills. Ready to take a closer look? Let’s dive into this 2019 Volkswagen Jetta Configurations Review created by Volkswagen SouthTowne. Before long, you’ll be leading the pack down the road in the throne of this athletic companion. Customization is the key to owning a vehicle that aligns with your style, performance preferences, and comfort requirements. Each of these Volkswagen Jetta configurations comes with different features and appointments that help you face a busy day with confidence. Of course, part of finding your perfect car is to check out what kind of muscle it can muster. Well, no matter which 2019 VW Jetta configuration or trim level you decide upon, you’ll be armed with the same potent 1.4-liter turbo motor, which churns out 147 horsepower and 184 lb-ft of torque. The only difference you’ll discover among the configurations of this sporty sedan is in the powertrain. For example, the VW Jetta S comes with a standard 6-speed manual transmission that puts all your car’s shifting power into your hands. Meanwhile, the VW Jetta SE, VW Jetta R-Line, VW Jetta SEL, and VW Jetta SEL Premium trim levels provide you with a standard 8-speed automatic transmission with Tiptronic® and Sport mode. That way, your automobile will do all the hard work for you while you focus on the road ahead. Looking for a ride that’s committed to conserving fuel? Fortunately, this sedan has you covered. 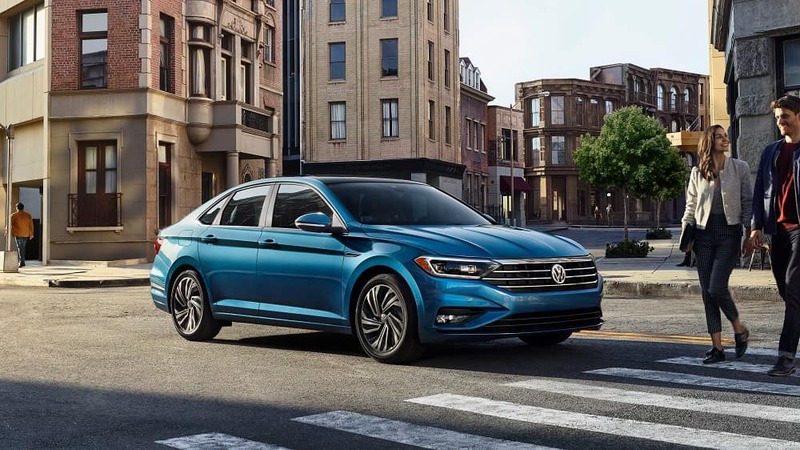 Regardless which of the 2019 Volkswagen Jetta configurations you choose, you’ll be equipped with the same gas-sipping prowess of its standard 1.4-liter turbo engine. All in all, this efficient motor offers an EPA-estimated 30 MPG city and an EPA-estimated 40 MPG highway1. With those numbers, you can soar down any city street or open freeway knowing that your vehicle is doing everything it can to avoid filling up on fuel. 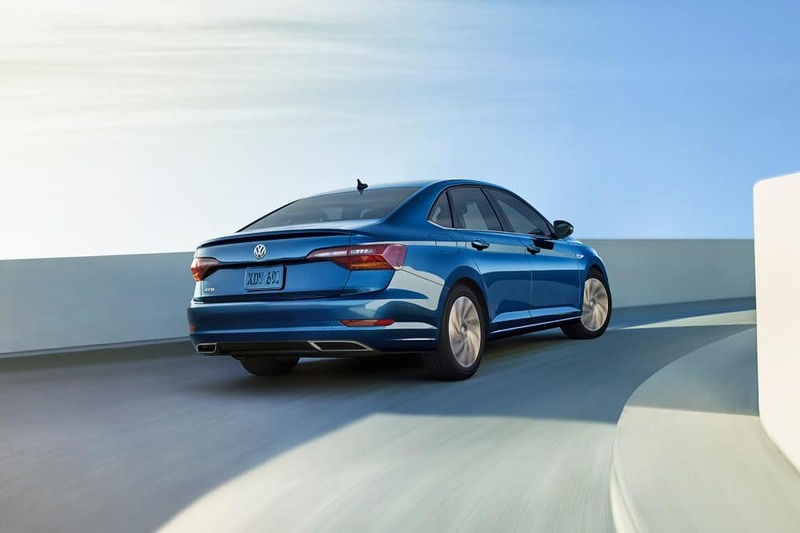 Along with the other similarities between the 2019 VW Jetta configurations, the dimensions on each trim level of this compact car offer the same spacious measurements. Overall, this vehicle maxes out at 185.1 inches in length and 70.8 inches in width. Thanks to its athletic construction, you’ll make easy work of those tight, parallel parking spots on the crowded city streets. At Volkswagen SouthTowne, we want to help you locate the vehicle that’ll make every minute of your commutes near West Valley, Murray City, and Orem more thrilling. And, by opting for one of the 2019 Volkswagen Jetta configurations, nothing will prevent you from seizing the day any way you prefer. To learn more about the high-tech tools and features found inside this speedster, stop by our showroom or schedule your test drive today! 130 city/40 highway mpg (2019 Jetta 1.4L, 6-speed manual transmission). EPA estimates. Your mileage will vary and depends on several factors, including your driving habits and vehicle condition.